Another two games from the SEGA Genesis (Mega Drive) classic games made it to the OnLive PlayPack. The games are Bio-Hazard Battle and Decap Attack. This brings the PlayPack to 187 games and counting. 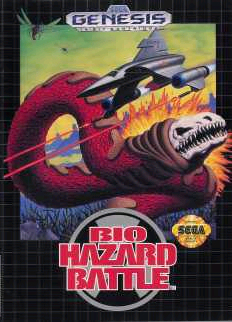 Bio-Hazard Battle is a side-scrolling shoot 'em up game classic published and developed by SEGA. During the first global biowar, a powerful retrovirus filled the planet Avaron with new and deadly forms of life. Only a few survivors remain in O.P. Odysseus, an orbiting platform circling Avaron. Hundreds of years after the biowar, conditions on Avaron are still hostile but livable. Your mission is to pilot a Bioship to Avaron, fly over the areas that the probes have labeled least hostile, and check out the conditions there. You can play the free demo of Bio-Hazard Battle for the US powered by OnLive. You can play the free demo of Bio-Hazard Battle for the UK powered by OnLive. 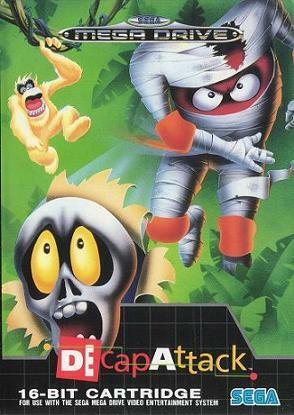 Decap Attack is a platform game classic published by SEGA and developed by Vic Tokai. To help "pull things together," the brilliant doctor Frank N. Stein carefully fashioned Chuck D. Head, a mummy, from the leftover parts of some other people that we don't talk about. Somehow he couldn't quite get the head right - how many heads do people need again? Head bone connects to the... what bone? Well, to cut a long story short, there's this island which is made up of body parts (like they are sometimes), and the fearsome villain Max D. Cap has separated all the parts to gain total control. It's now up to Chuck D. Head, the living mummy, to go over there, and sort it all out. You can play the free demo of Decap Attack for the US powered by OnLive. You can play the free demo of Decap Attack for the UK powered by OnLive.